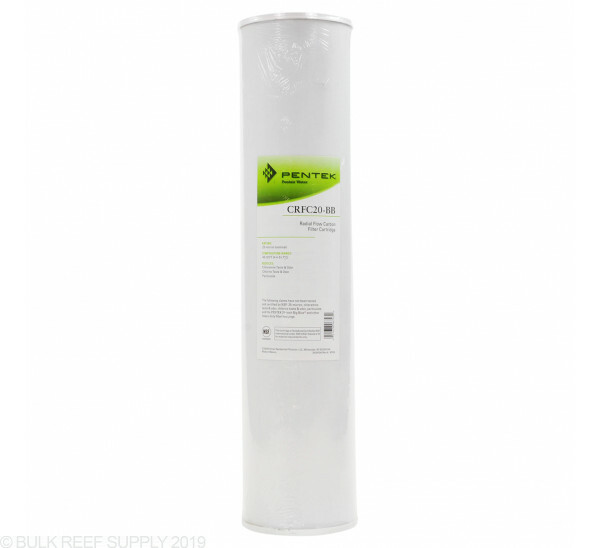 The Pentek CRFC20-BB carbon block cartridge help reduce sediment while providing greater chloramines performance capacities than granular carbon. It also significantly reduces the carbon fines found in many granular canisters. It is ideal for higher flow rate and capacity applications. This is a must have if you are to pruduce water for your reef tanks. 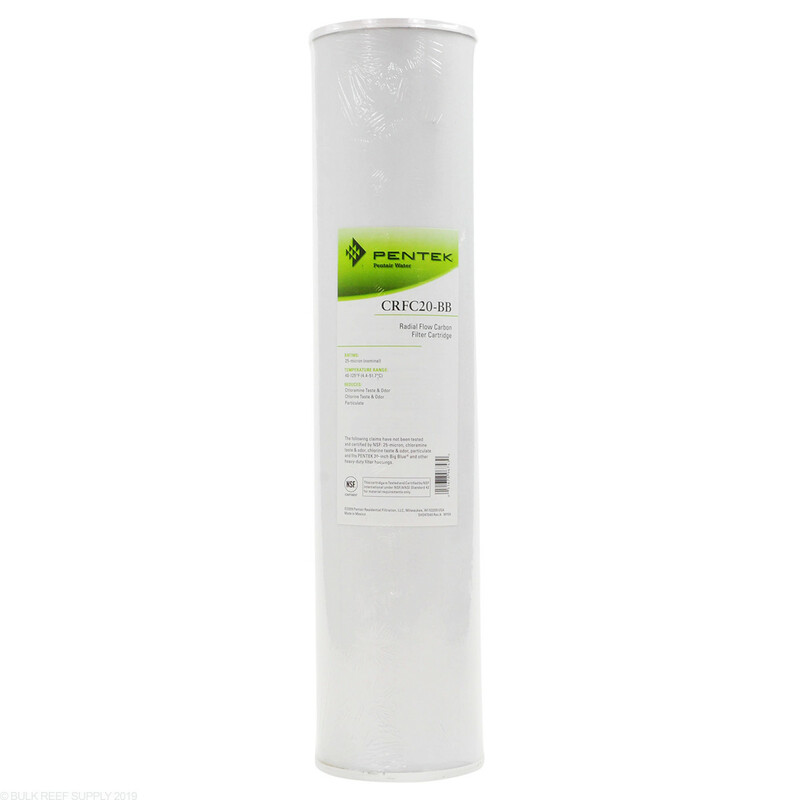 I have a industrial system which uses these 20" filters, but the smaller version is very good also.